A view looking to the west. 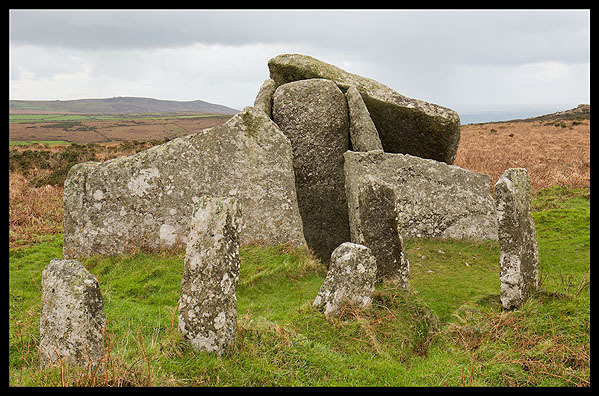 An impressive Portal Dolmen dating from the early Neolithic period (3500-3000BC) . Two large slabs form an impressive facade in front of the closure stone of the chamber. The whole structure once stood within a barrow of 12.8m diameter. The short pillar stones in front are part of a farmers unfinished cowshed .